Welcome to ForSaleRealty.com, Inc. Extreme Interactive Media Network. 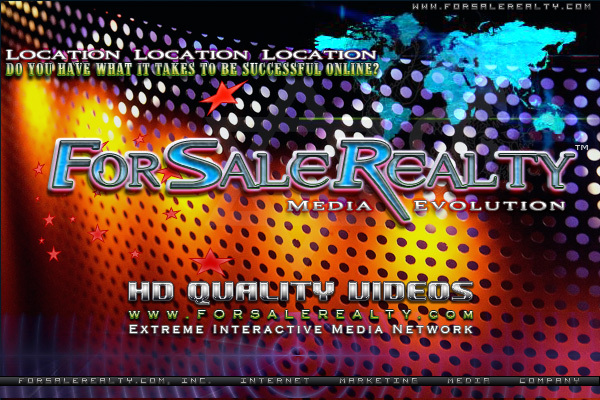 ForSaleRealty - unleashes Furious Carnivore the latest revolution in media evolutionary design. ForSaleRealty's proprietary Furious Carnivore software platform centralizes a powerful system of mass media integration and distribution across our Networks. ForSaleRealty.com, Inc. operates a major online advertising network that displays text link ads on more than 300 websites and works with top affiliate advertisers to display millions of ads every month. We offer the surfer quality sites without sending them to popup hell and the response is amazing. Our excellent conversion ratios means more money in your pocket! "We Convert Raw Traffic into Paying Customers" Increasing Ads Productivity for Maximum Net Revenue. Satellitez are Trademarks and/or Service Marks of ForSaleRealty.com, Inc. All other trademarks are the property of their respective owners.